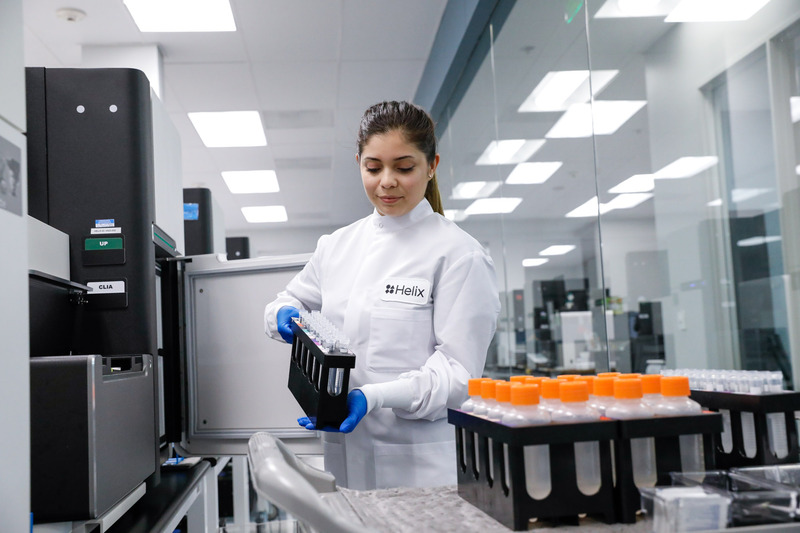 When you order a Helix DNA kit and send in your saliva sample, your work is pretty much done—you can sit back and relax as we enable an entire marketplace of products that are personalized to your genetic code, evolving and growing with you over a lifetime. But behind the scenes, magic is happening. 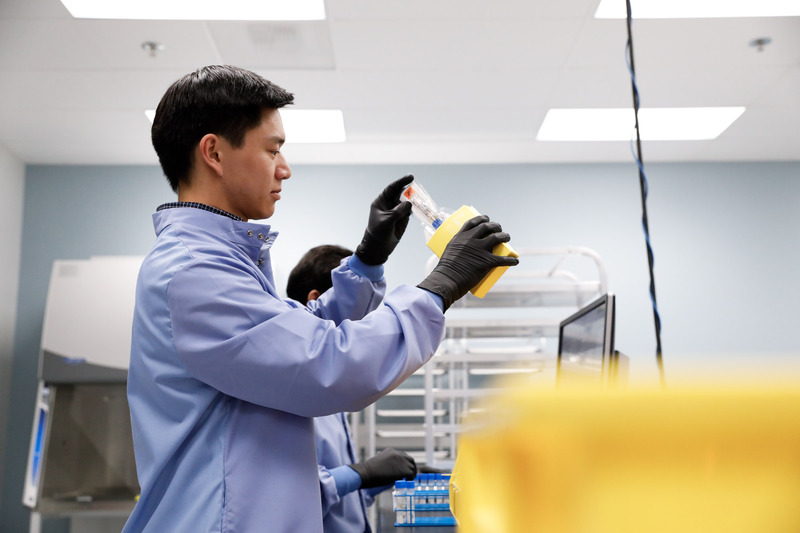 A lot of that magic happens at our CLIA-certified, CAP-accredited lab in San Diego, California, where our scientists work to turn samples into sequences. Besides being one of the most advanced DNA processing facilities in the world, this lab just happens to look really cool, too. We’re delighted to be able to show it to you. 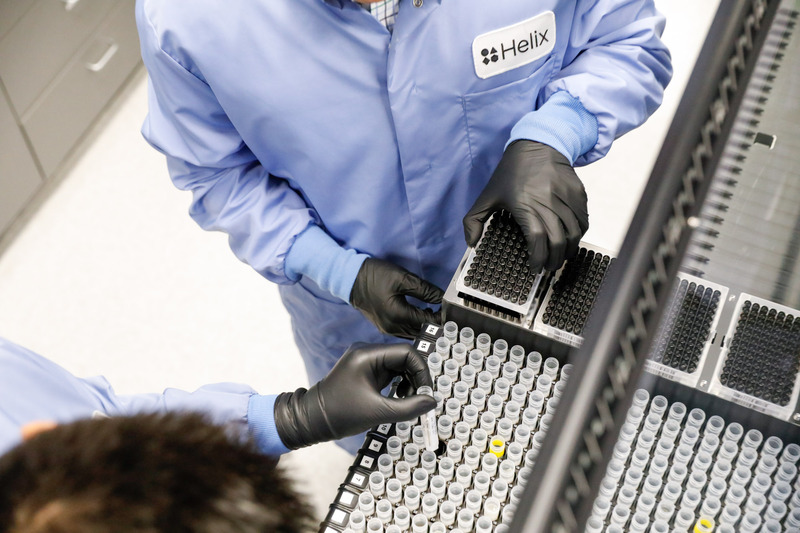 And if these photos are getting you excited for your own genetic journey, there’s never been a better time to start: shop the Helix marketplace now, where you can find products tailored to your fitness, nutrition, ancestry, health, family, and so much more. 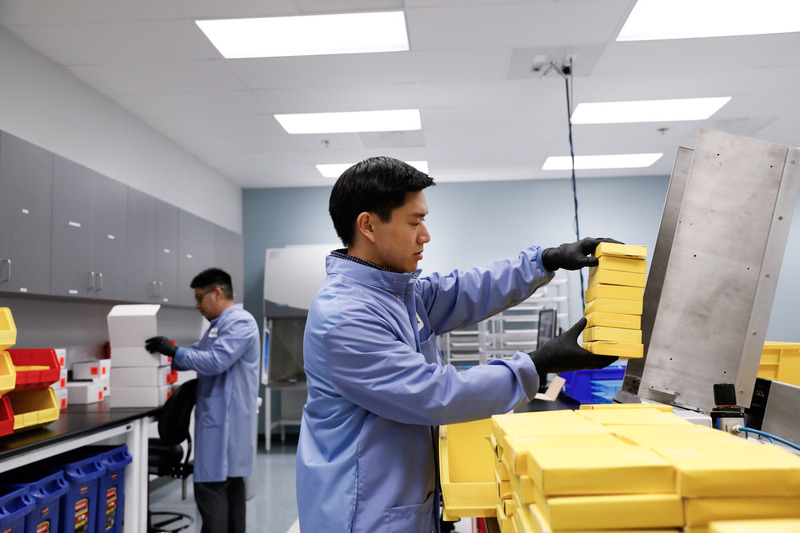 When the package containing your saliva sample arrives at the Helix lab, we load it into BoxSeq, a machine that can open many of these packages in a short amount of time. 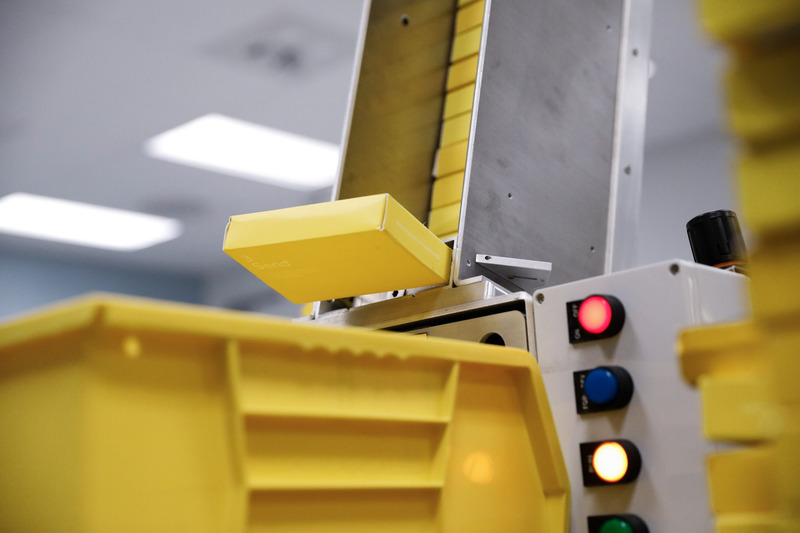 BoxSeq makes quick work of a sealed package, making it easy for our technicians to access and prepare each sample. A sample is removed from its shipping box and checked for quality. 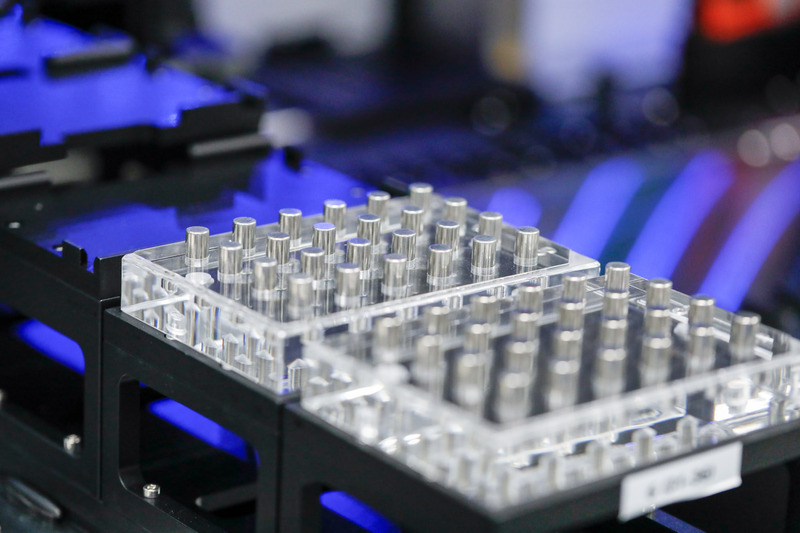 Saliva samples are loaded onto a robotic machine that helps prepare them for sequencing. Samples await processing on the robot. 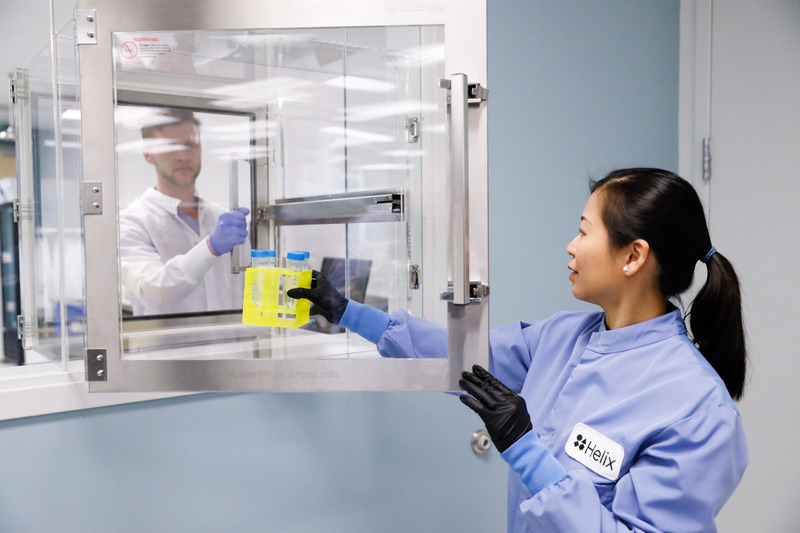 A special pass-through box helps prevent contamination as reagents move between areas of the lab. 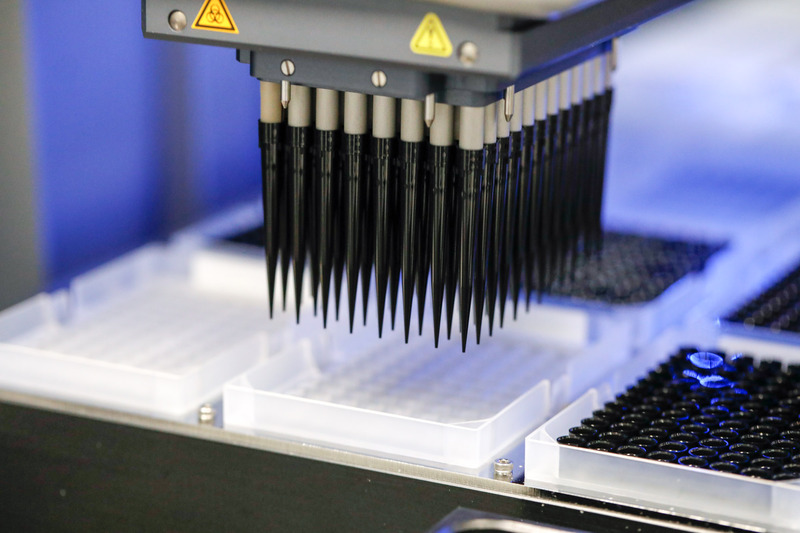 A close-up of a core head on one of the lab’s robots, showing pipettes ready to transfer sample material. More detail from inside the robot, which is designed to handle a large number of samples at once. 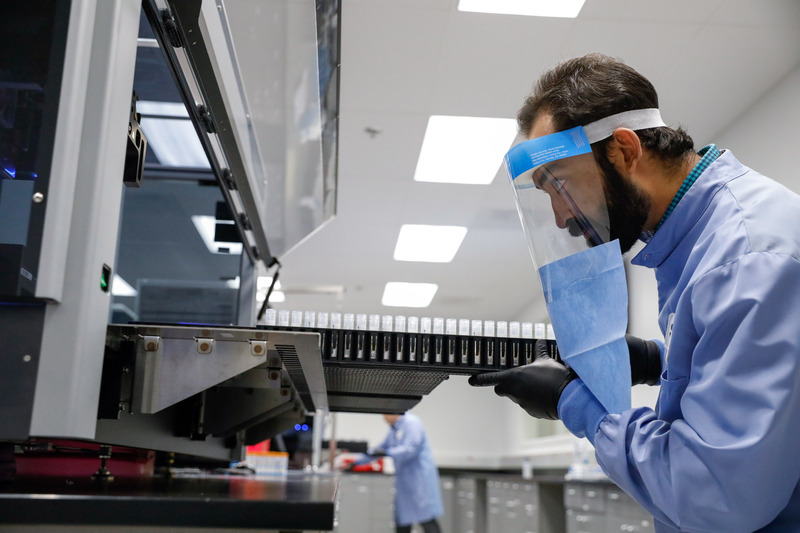 A research associate loads materials into the machine that actually sequences your DNA. 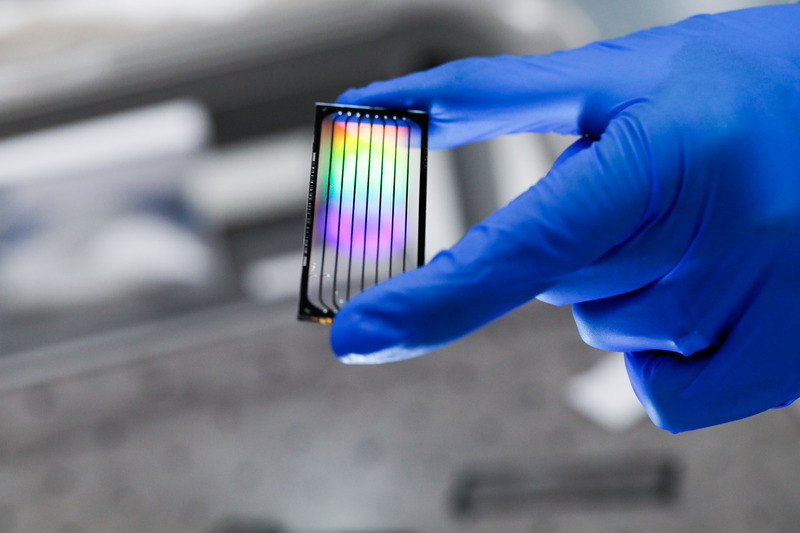 A flow cell, a special plate loaded into our sequencing machines that enables DNA to be read very efficiently. 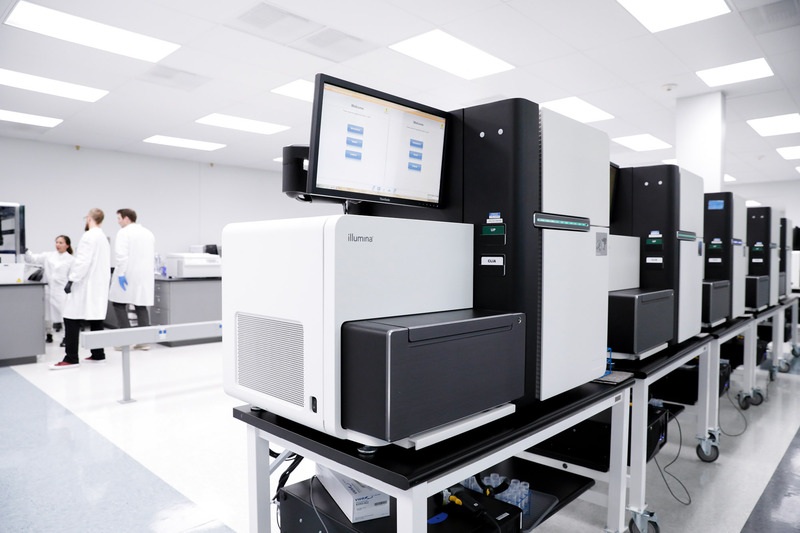 Some of our DNA sequencing machines. In the background, Helix lab staff work by one of the robots. 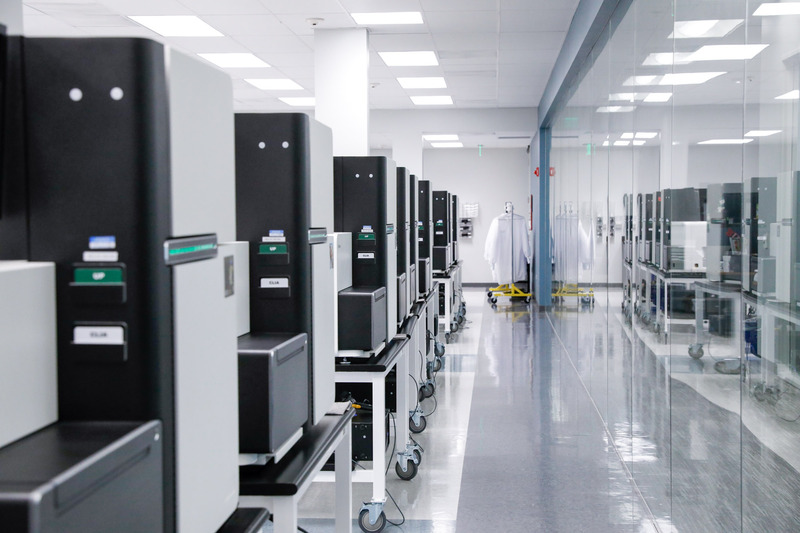 A row of sequencing machines working away on samples. Want to know more about how Helix works? Our step-by-step guide is a great place to start. And when you’re ready to get a DNA kit of your own, head over to the Helix marketplace.